"The kind of exhaustion associated with sleep apnea can cause significant problems for patients at home, at work, and in their personal relationships," said Richard K. Bogan, MD, FCCP, FAASM, Associate Clinical Professor at the University of South Carolina School of Medicine and Chief Medical Officer at SleepMed in Columbia, SC. "It is important for patients to know that this extreme tiredness is not their fault. Patients and their partners are encouraged to speak with their doctor to learn if the tiredness they are feeling during the day could be related to sleep apnea and discuss a treatment plan that can work for them." To help patients and their loved ones recognize the signs and symptoms of Excessive Daytime Sleepiness related to sleep apnea, Jazz launched "A Different Kind of Tired," an educational campaign geared toward helping people living with sleep apnea understand that the exhaustion they feel during the day may be something more and encourage them to seek help. "Excessive Daytime Sleepiness related to sleep apnea is a medical condition that causes many people to struggle to stay awake each day," said Jed Black, M.D., senior vice president, Sleep and CNS Medicine at Jazz Pharmaceuticals and adjunct professor at Stanford Center for Sleep Sciences and Medicine. "This survey underscores the impact faced by patients and their loved ones who experience the negative effects of Excessive Daytime Sleepiness related to sleep apnea. Continuing Jazz's commitment to sleep medicine, we are excited to offer this community new resources and information about Excessive Daytime Sleepiness related to sleep apnea through 'A Different Kind of Tired.'" People living with Excessive Daytime Sleepiness related to sleep apnea and their loved ones can access additional information about the survey, download a discussion guide for their next doctor's visit, and learn more about the condition by visiting ADifferentKindOfTired.com and by joining the conversation on Facebook at Facebook.com/ADifferentKindOfTired. 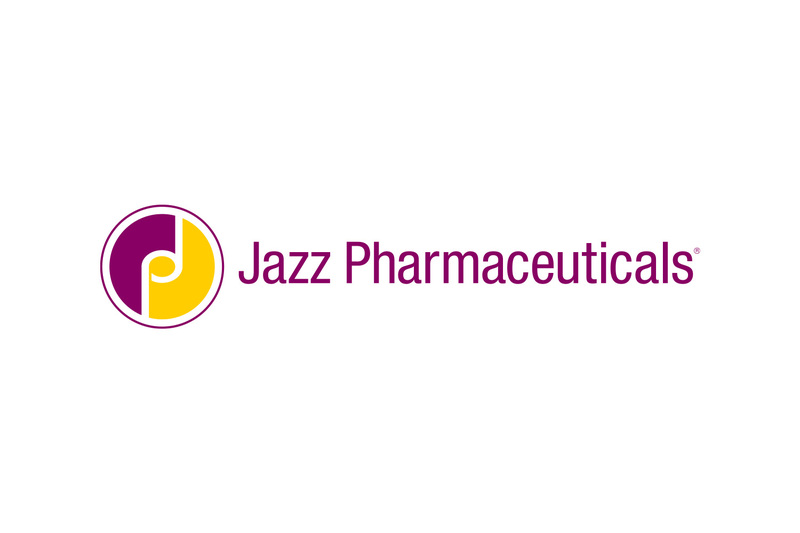 The self-administered, online survey was conducted by The Harris Poll on behalf of Jazz Pharmaceuticals from July 11-23, 2018. All participants were asked about key topics connected to their experiences with Excessive Daytime Sleepiness and sleep apnea. Patients (310): U.S. residents, age 18+, that (i) have been diagnosed with sleep apnea, (ii) have not been diagnosed with another sleep condition, and (iii) scored a 10 or higher on the Epworth Sleepiness Scale (ESS). Partners (303): U.S. residents, age 18+, are the spouse or partner of someone who has been diagnosed with sleep apnea who does not currently have any other sleep conditions and scored a 10 or higher on the ESS. Data were not weighted and are therefore only representative of the individuals who participated in the survey. About "A Different Kind of Tired"
"A Different Kind of Tired" is an educational campaign created by Jazz Pharmaceuticals to provide resources and information for patients living with Excessive Daytime Sleepiness related to sleep apnea and their loved ones. ADifferentKindofTired.com offers a discussion guide to help patients facilitate conversations about Excessive Daytime Sleepiness related to sleep apnea with their doctors and loved ones. Patients and loved ones can also join the Facebook community to learn more and connect with others living with Excessive Daytime Sleepiness related to sleep apnea at Facebook.com/ADifferentKindofTired. Dr. Bogan is a paid consultant for Jazz Pharmaceuticals. "Sleep Apnea Information for Clinicians." SleepApnea.org, www.sleepapnea.org/learn/sleep-apnea-information-clinicians/. American Academy of Sleep Medicine. Central disorders of hypersomnolence. In: The International Classification of Sleep Disorder – Third Edition ICSD-3) Online Version. Darien, IL: American Academy of Sleep Medicine; 2014. http://www.aasmnet.org/ebooks/icsd3. Accessed October 1, 2018. Data on File (SOL-2018-017,020-021,023, 028, 030-032). Palo Alto, CA: Jazz Pharmaceuticals, Inc.
Peppard AE, et al. Increased Prevalence of Sleep-Disordered Breathing in Adults. Am J Epidemiol. 2013;177(9):1006-1014. Ye, L. (2014). The different clinical faces of obstructive sleep apnoea: a cluster analysis. European Respiratory Journal, 6(1600-7), 1602-1603. Zhou J, Camacho M, Tang X, Kushida CA. A review of neurocognitive function and obstructive sleep apnea with or without daytime sleepiness. Sleep Med. 2016;23:99-108. Gasa M, Tamisier R, Launois SH, et al. Residual sleepiness in sleep apnea patients treated by continuous positive airway pressure. J Sleep Res. 2013;22(4):389-397. Koutsourelakis I, Perraki E, Economou NT, et al. Predictors of residual sleepiness in adequately treated obstructive sleep apnoea patients. Eur Respir J. 2009;34(3):687-693.